For weeks, Facebook has faced tough questions for allowing Alex Jones’ InfoWars page to spread conspiracy theories that incite harassment while simultaneously pledging to fight misinformation. The situation has led to Jones taunting Facebook, and Mark Zuckerberg seemingly excusing Holocaust deniers. On Thursday, the company finally took some confusing action that probably won’t satisfy anyone. Our Community Standards make it clear that we prohibit content that encourages physical harm [bullying], or attacks someone based on their religious affiliation or gender identity [hate speech]. We remove content that violates our standards as soon as we’re aware of it. In this case, we received reports related to four different videos on the Pages that Infowars and Alex Jones maintain on Facebook. We reviewed the content against our Community Standards and determined that it violates. All four videos have been removed from Facebook. Facebook declined to clarify further, but a source at the company who wished to remain anonymous confirmed that the pages will stay up and other users with admin privileges will still be allowed to post while Jones is in Facebook jail. The way its system works is that the page that violated the company’s terms gets a strike, as well as the admin that posted the content. After a certain number of strikes, a suspension is initiated. A page can be permanently deleted if it gets enough strikes. Facebook won’t say how many strikes is too many, only that offending pages must meet a “certain threshold” to get banned. There’s no upside for Facebook here. 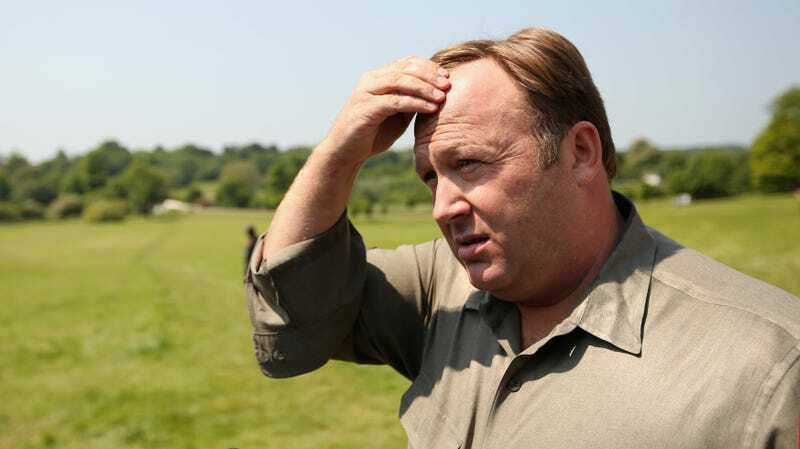 Even when it protects Jones, he just claims he’s been “shadow banned” and that big tech is trying to “rig elections by manipulating their algorithms.” InfoWars devotees will never believe Facebook isn’t trying to censor them. And those who think InfoWars should be perma-banned will never accept anything less. So, the cycle continues with the company damaging its reputation all around because it refuses to take a clear stand. Zuckerberg seems to believe that his approach is based around a sort of First Amendment-lite philosophy in which people are allowed to say pretty much anything that stops short of an imminent threat of violence. But moderators and algorithms are making judgments on what constitutes a threat, and as long as that’s the case, part of the blame for what Alex Jones broadcasts will fall on them.